Hardly anybody realizes that press fasteners used in the tough conditions like marine applications are not even resistant to sea water - until now! 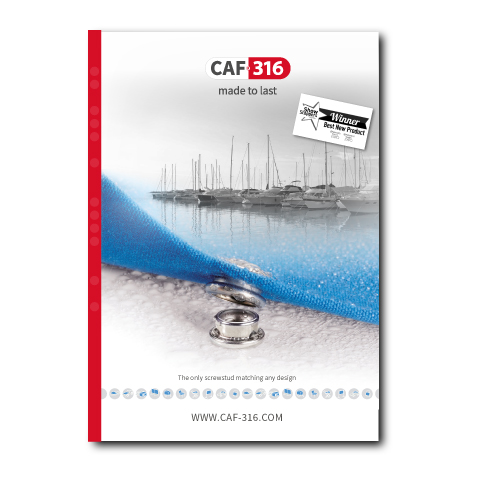 Probably the smallest item on deck is now available in real 316 stainless steel: CAF-316®. To achieve true durability, even the internal spring is made of top quality duplex stainless steel, insuring years of dependable performance regardless of the conditions. 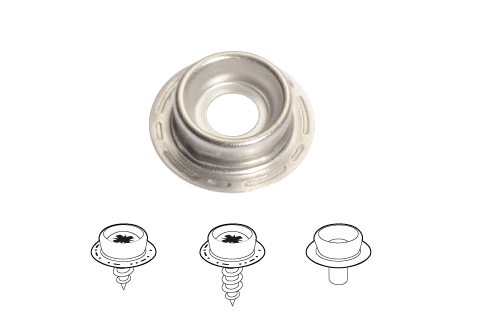 Even the spring inside the socket is made of high quality duplex stainless steel, making sure the fasteners performance is stable over time and use, without deformation. No matter the conditions. It is often said by experienced cover makers and fabricators: the weakest link of a cover, tent or any other textile product are the fasteners. More than the textile and the craftsmanship itself, the quality and lifetime of their products depend on the thread, zippers and fasteners. 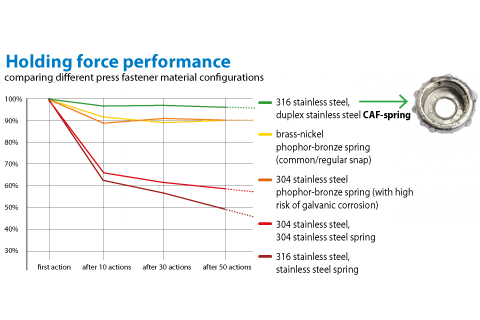 At last SUREFAS brings modern technology to bear on a long-standing problem: making press fasteners truly corrosion free. 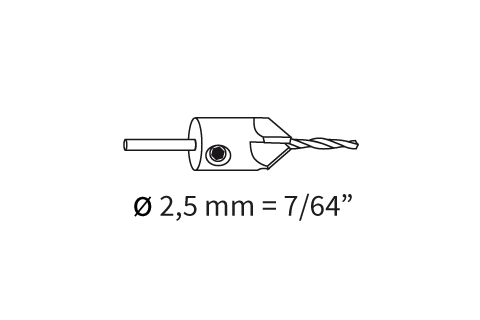 As true reliability drills down to every detail, CAF-316 uses spring technology that avoids galvanic corrosion or electrolysis, uses a thread for its screws that is designed for its purpose, is full sea water resistant, while ensures a similar and stable spring performance as one is used to and should expect. Accept no compromise. CAF is a registered trademark. The CAF-cap is 15 mm. 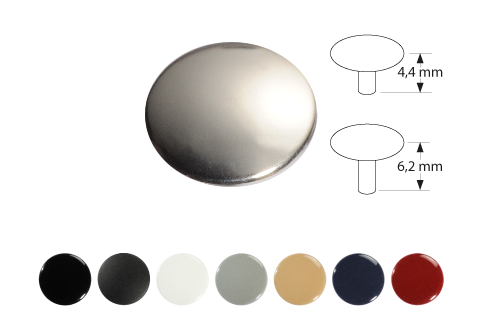 in diameter, is self-piercing and fully made of 316 stainless steel. It comes in different shaft-lengths and colour. 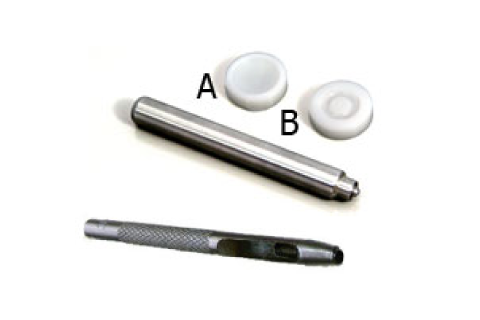 It fits any standard 15 mm domed cap-socket die and it's best if they are hardened. 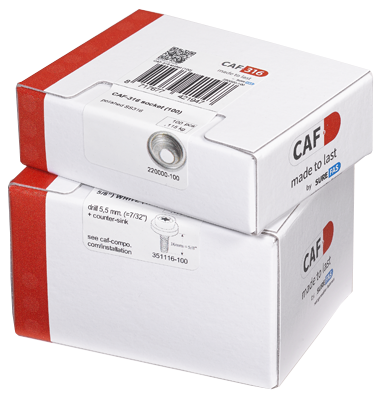 The CAF-socket in SS 316 with the special CAF-spring inside for reliable performance over time and use. 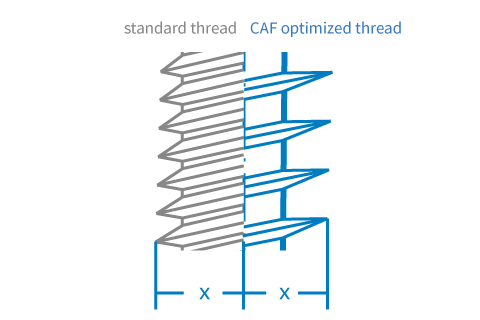 While the CAF-spring material is a duplex grade, it ensures a stable open and closure force the 1st and the 1.000st action. It is better resistant to even sea water than SS 316, causes no galvanic corrosion, is dimensional stable and is, apposed to any other stainless steel, heavily magnetic. For the base-part there are several variants of the stud. 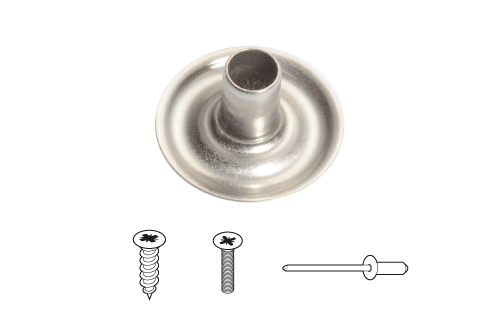 Standard for installation with a eyelet or other separate fixing. The CAF-product range is continuously broadening with smart additions of pre-assembled studs. 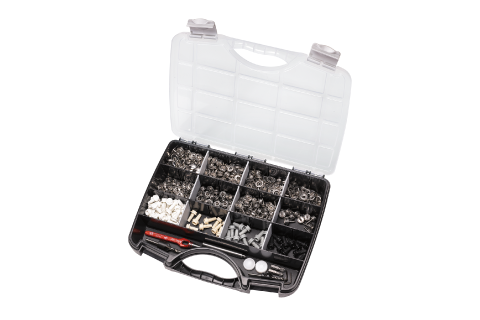 The stud can be installed with a variety of fixings. The self-tapping screw has a thread that is optimized for use and hold in wood, polyester and aluminum. 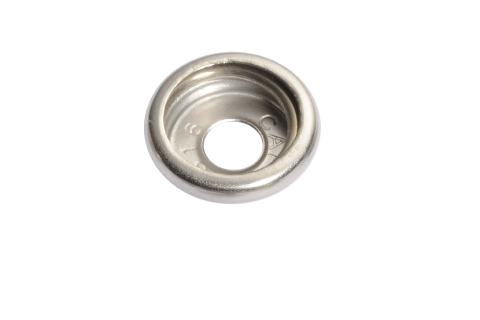 CAF-316 has a CAF-ring spring inside made of duplex stainless steel. This makes is even better cossorion resistant than 316 (sea water resistant) and offers real spring capabilities ensuring the same opening and closing force the 1st and the 1.000st time. Bear in mind, this material is magnetic. 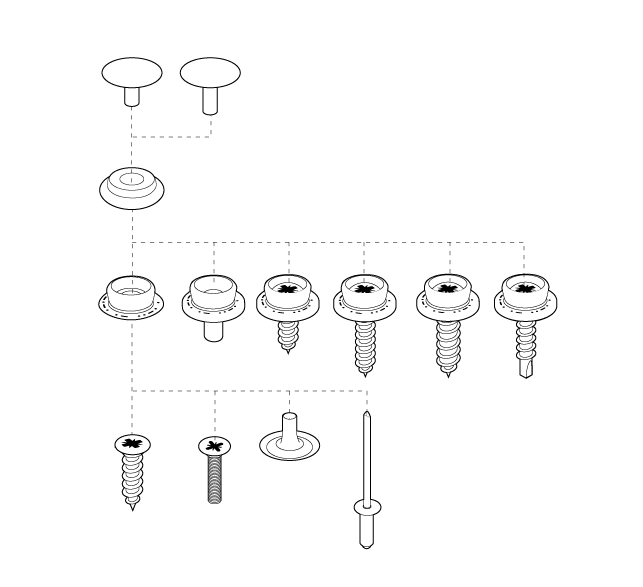 the thread used in self-tapping screws is optimized for better hold in wood, polyester and aluminum. 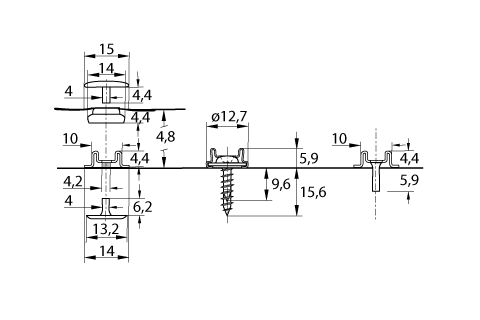 Compared to sheet-metal thread used in standard screw-studs it has a thinner shaft, larger pitch and a sharper thread, resulting up to 50% better holding force. 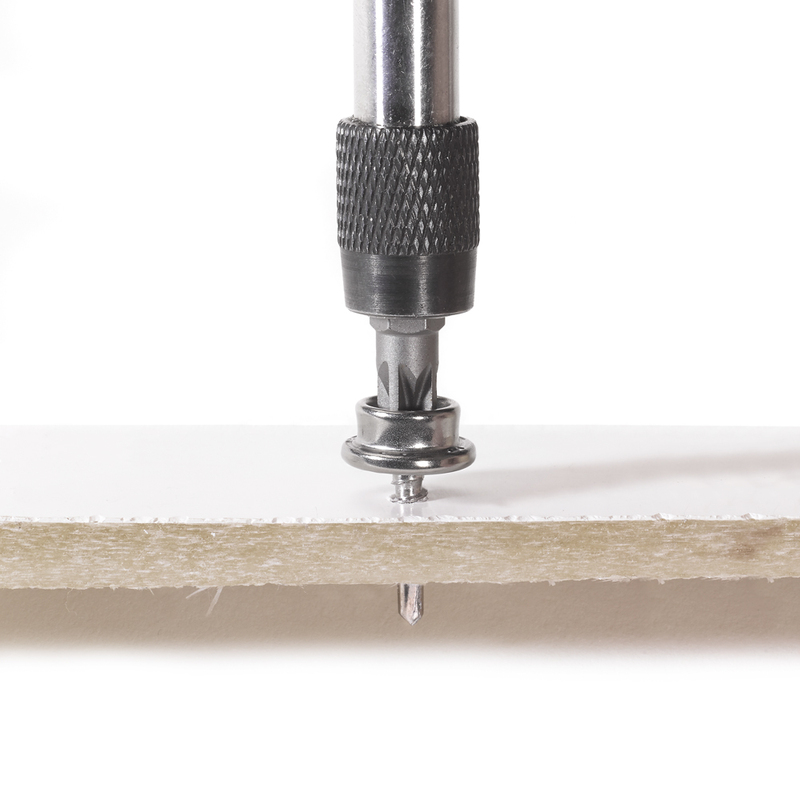 Timesaver-tip: no pre-drilling a pilot hole and still confident of a good fix. The optimized thread and drill-tip cause way less chance of chipping the gel-coat. Since CAF-316 requires a 4 mm. hole for the shaft to go through the fabric, there are hole punchers in all sorts available. 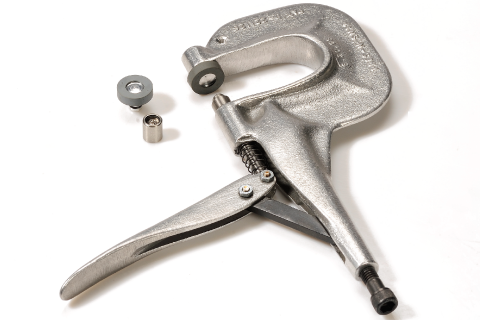 Also hardened professional quality hand punches and anvils are available. For professional application, same tools and dies can be used in pliers, manual and automated machines for easy and quick (self-piercing) installation. 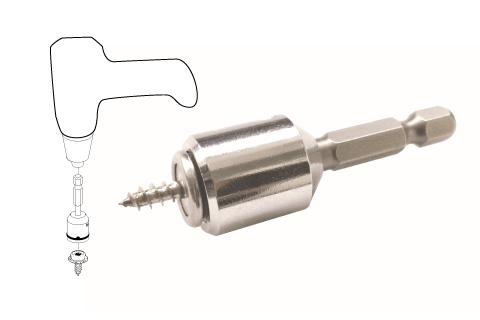 This smart adapter holds any screw-stud in your machine screw-driver. This handy 2,5 mm. (or 7/64") drill including counter-sink saves you an extra step in installation. 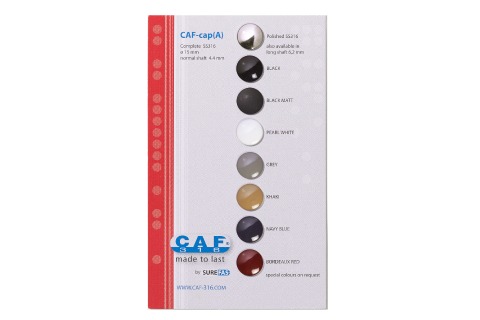 CAF-316 is available in packs of 10, 100 or 1.000 pcs. per part and per colour. Bulk is on request. It carries 10 complete sets incl. all tools. 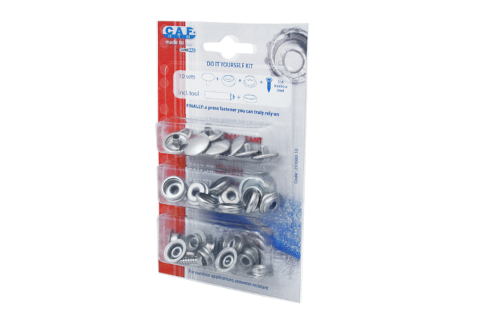 For the professional that wants to test CAF press fasteners on 1 or 2 jobs there is this Starter-Kit. It carries 100 complete sets in different variations and colours. It comes with all tools, accessories and smart time-savers, as there is only one chance for a first impression. A card displaying real caps in true colours. Screw the stud tight. TIP: use a sealant to make a water-tight connection. mark the spot for the socket on fabric and punch a hole. 4 mm or 5/32"
screw the stud tight. The screw-stud adapter for your machine drill might come in handy. TIP: use a sealant to make a water-tight connection. mark the spot for the socket on fabric and use the pliers (like Pres'nSnap) to rivet the self-piercing cap to the socket. Any installation type is possible, from hand punch to automated machines.